Dovilė Čibiraitė is from Lithuania. She holds a Bachelor Degree in Modern Technologies Physics and Management and a Master Degree in Telecommunications Physics and Electronics from Vilnius University. 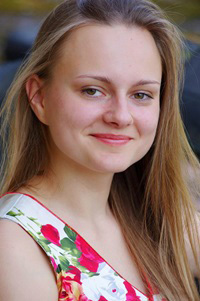 During her Master programme, Dovilė gained experience on direct detection of graphene field-effect transistors at Goethe University Frankfurt am Main (GUF) and completed her Master Thesis on “Terahertz Rectification in Monolayer Graphene Field-Effect Transistors”. She has a background in photonics, electronics and noise measurement techniques. Dovilė's interest in THz detectors led her to join the Terahertz-Photonics group of Prof. Viktor Krozer at GUF in July 2016. As part of the CELTA project, her PhD will be focused on investigation and design of plasmonic THz detectors, based on different field-effect transistor technologies. The interest will be focused on different detection techniques such as homodyne and heterodyne detection at room and lower temperatures. Improved THz detectors will be applied to create a high resolution THz camera.